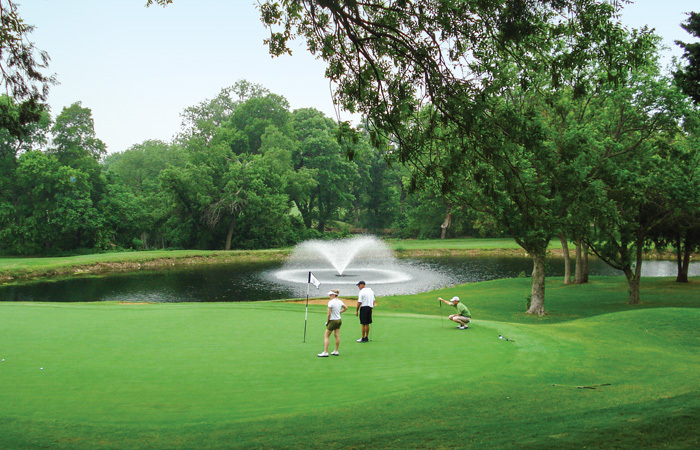 When Thorntree opened in 1983, it was on the outskirts of a rapidly expanding Dallas proper. Huge homesteads and a top-notch golf course were there for the upper crust looking to be away from the hustle of Big D, all the while being close enough for an easy commute. 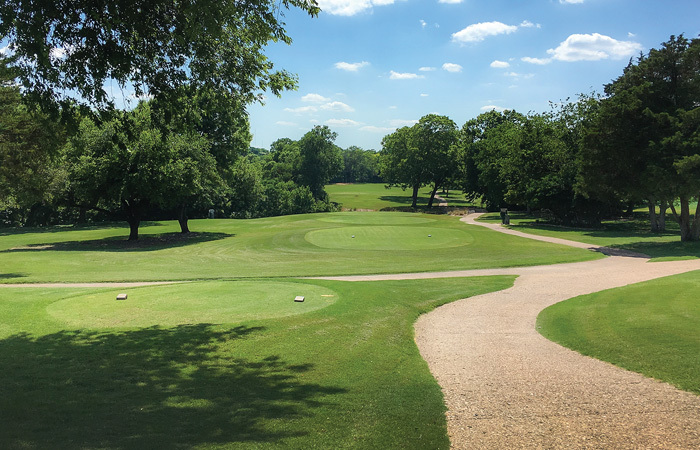 Built by the Richard Mai family, for five years, this par-72 played host to Byron Nelson qualifying, PGA TOUR stage qualifying and sectional qualifying for the Texas State Open. Since then the property has continued to thrive. New homes constructed over the last 15 years have kept the area beautiful and the course has held up. In 2018, the decision was made to take Thorntree public. A decision that opens this once exclusive property to daily fee players around the metroplex and gives Joe Q. Golfer one more rock-solid option for a round. As you arrive at the property, the first thing that you notice is the large clubhouse. One great thing about a once private club that has now transitioned into a public track are the amenities. The clubhouse could use a touch of updating, but it is massive. A huge pro-shop, dining area, and a downstairs bar area that has limitless potential. The food in the clubhouse definitely eats more like country club fare than grub you might find at your local muni, so it’s worth arriving a little early for some breakfast tacos or staying post-round for a cold beer and a burger. When it comes to the golf course itself, all the necessary boxes are checked and there are even a couple that most courses in this area can’t. It can be hard to find courses with a lot of elevation changes in the metroplex. Dallas National comes to mind, but good luck getting on there. Tangle Ridge is a great piece of property that is open to the public and has some up and downhill shots, but beyond that, there aren’t many spots that showcase rolling hills. Thorntree does exactly that and from the time you put a tee in the ground, you will appreciate the club selections. An extra club here, one less club there, choke down irons will become your best friend as you try to navigate the terrain. No. 1 is simple enough, a nice way to ease into the round. A long iron or hybrid leaves only a wedge and a great chance to score to start your day. And as will become the theme, the approach is a bit downhill, but gives players a great look at the putting surface. The par-3 second hole isn’t long, but the green is a fun house. If the pin is in the back and you come up short, expect to be struggling to get it down in two. However, if the hole is cut in the front, the backstop feeds everything to the hole, so if the ace has eluded you to this point, might I suggest some rounds at Thorntree, because a front pin on the second is prime for a hole-out. The first par-5 of the day appears at no. 4. This hole stretches up the hill, and then feeds back down toward a crossing creek. Longer hitters can absolutely crest the hill and on dry days, the roll could send tee shots into trouble. A three-wood is a safer play, but still enough to clear the hill and leave a manageable layup. For my money, no. 8 might be the most difficult hole on the course. A blind tee shot guarded all down the right by water. Miss left to avoid a soggy grave and risk a long approach. Take an aggressive line and players run the risk of leaking it into the drink and bringing the big number into play. A fairway hit leaves just a mid or short-iron in, but beware, there is another small pond that will digest anything left of the green. The ninth is a long par-5 that can make or break your outward 9. An aggressive line over the corner of the houses takes off some distance, but this one is still a three-shot par-5 for all but the longest of the long. A solid layup leaves a short-iron or wedge and a good shot at a 4. Thorntree has great routing from beginning to end, but I think the most interesting stretch of holes is definitely from no. 10 to no. 14. The tenth is a behemoth par-5, that plays a whopping 667 from the back tees and winds right, left and then right again. Depending on wind conditions, this hole can be an absolute beast. No. 11 is one of the most memorable holes at Thorntree. The fairway slopes severely from right to left toward a water feature. Any right-handed player that predominantly plays a draw will struggle with this one, as most right to left shots risk chasing through the fairway to a watery grave. The ideal tee shot is cut that fights the slope and holds the fairway. 12 works back the other direction and plays a good bit uphill. A long iron will take the trouble out of play and leave just a wedge to the putting surface. No. 14 is arguably my favorite tee shot on the course. From the tips it plays 225, but it is a good bit downhill and will usually play down-breeze as well. During the drier months, it’s possible for the shorter hitters to chase something onto the front edge. No’s 16, 17 and 18 are fun, but fair finishing holes. The 16th is another downhill par three with water guarding the front. Anything hit chunky will end up in the drink, so it might be wise to take one extra club to be sure any miss-hits stay dry. No. 17 has some room off the tee, although beware the fairway bunker left. If players find the fairway, a steep approach remains, so be ready to add an extra half-club or so. The closing hole at Thorntree plays back toward the clubhouse and requires a cut shot to hold the fairway. Players can elect to hit driver and try to get a scoring club in their hands, but get too much roll and a creek comes into play short of the green. It can be beneficial to hit a long-iron, hybrid, or a three-metal to play back and leave a full club into an elevated putting surface. I would give Thorntree my seal of approval if it were still is a private club, but now that it’s open to the public, it’s immediately on my must-play list for any daily fee golfer. It’s affordable, well laid out, and the greens are receptive and puttable. This may not be the same Thorntree that drew in the big fish in the 1980’s, but with just a touch of updating, it will almost certainly become one of the top tier public courses in the DFW area. This par four is guarded all down the right with water. The tendency is to miss left to avoid the hazard. Too far left and the approach is long and another water feature guards the left side of the green. The severe right to left sloping fairway makes this hole interesting. For those who play a draw, holding the fairway can be a tough proposition. If you find the short-stuff, an approach from an uneven lie promotes a pull-hook. The green slopes severely and makes for a difficult two-putt. From the back tees, this is most interesting tee shot on the course. A small waste area adds to the aesthetic of this downhill shot. A long iron is necessary, and it can be tough get a shot all the way to the back of the green if the hole is cut there. Par is a great score, even for the seasoned player.